The North Saanich Farm Market offers a range of local produce, homemade bread and baked goods, jams, flowers, arts and crafts, and weekly live entertainment. Situated on the Northern part of the Saanich Peninsula, the area is a prime agricultural area encompassing 1,284 hectares of land protected by the Agricultural Land Reserve. 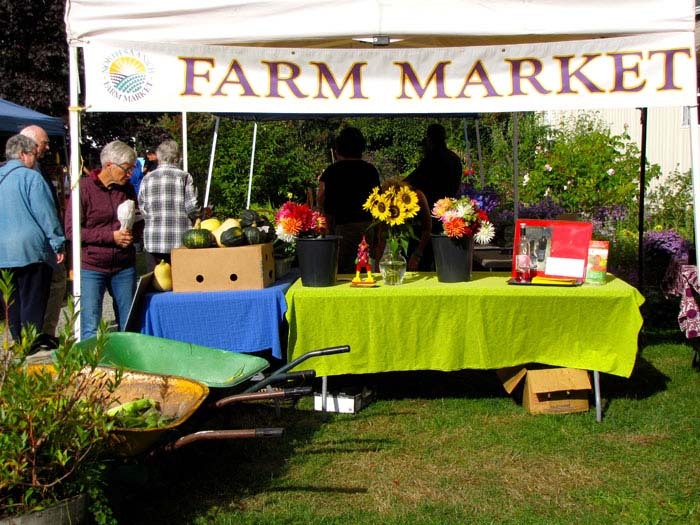 The market was initiated in 2010 by the North Saanich Food for the Future Society whose mandate is to support and promote sustainable agriculture in the municipality of North Saanich. Open Saturdays, 9:30am to 12:30pm, June through mid-October. St. John's United Church, 10990 West Saanich Rd.